CSIRO is pleased to welcome students from IUSBSE Fellows to its Clayton (Melbourne) Biomedical Materials Laboratories during the Summer of 2016/2017 (December to March). The Commonwealth Scientific and Industrial Research Organisation (CSIRO) is Australia’s national research agency. For around a century we have been pushing the boundaries of what is possible in science and technology. Our world-renowned successes include WiFi, the Hendra vaccine and polymer banknotes. With more than 1,800 patents, we are Australia’s largest patent holder. This ever-increasing wealth of intellectual property is a vast source of commercial opportunity and has already resulted in more than 150 spin-off companies. With more than 5,000 experts based in 55 centres, extensive local and international networks, and a burning desire to get things done, we are Australia’s catalyst for innovation and a global force in transforming imagination into reality. We collaborate with 3,000 customers each year, including Australian federal, state and local government bodies; small, medium and large businesses; the majority of Research Development Corporations, Cooperative Research Centres and Australian universities, and more than 150 international partners. The quality of our research underpins our ability to innovate. Our research is trusted; our discoveries are published in world-leading journals and globally, we are in the top one per cent in 15 of 22 research fields. Everything we do is focused on creating measurable economic, environmental and social benefits that better our world and Australia’s place in it. Using our multi-disciplinary scientific and engineering capabilities and world-class infrastructure CSIRO Manufacturing employs its 400 staff and 200 students to partner with industry to develop innovative products and processes that allow Australian manufacturers to be globally competitive and environmentally sustainable. CSIRO Manufacturing is based at Clayton and Parkville in Melbourne; Waurn Ponds in Geelong and Lindfield in Sydney. We work with Australian manufacturers, in areas such as advanced manufacturing, biomedical manufacturing, metal processing, aerospace and fibre industries. We help translate innovations in products and manufacturing processes to industry by taking scientific breakthroughs through the journey of development and scale-up to pre-commercial levels. We focus on increasing rates of discovery and reducing risks for our customers, enabling businesses to boost their commercial opportunities and profitability by adopting innovations. Our partnerships with universities and government agencies further support the translation of innovations to industry. CSIRO’s Biomedical Manufacturing Program is a key component of our Manufacturing Business Unit. Using our leading science and technical expertise, we’re working on next generation therapies, including stem cells to treat diseases, new ways to deliver drugs, advanced medical materials and drug discovery. Our core area of expertise is in the creation of Food and Drug Administration (FDA) approved polymers and coatings for implantable and diagnostic applications. CSIRO’s track record includes a role, with our partners, in developing CibaVision’s extended wear contact lenses while many of our technologies have been turned into spin-out companies and are transforming healthcare around the globe. These include biostable polyurethanes developed by AorTech Biomaterials; biodegradable polymers developed by PolyNovo Biomaterials; drug delivery polymers in clinical trials with Polyactiva; 3D printed Titanium implants with Anatomics etc. CSIRO is also the home of RAFT polymerisation (invented by CSIRO staff Ezio Rizzardo; Graeme Moad and San Thang). Current technologies being developed include low fouling and anti-microbial biomedical coatings; novel polymers for cardiac and prolapse repair; drug and gene delivery polymers; stem cell based cell therapies and 3D printed titanium scaffolds. We work with around 100 Australian and international customers each year in the biotech, pharma and medtech sectors. Through these partnerships, we help companies capture new business opportunities and produce quality niche biomedical products using more sustainable, cost-competitive processes. 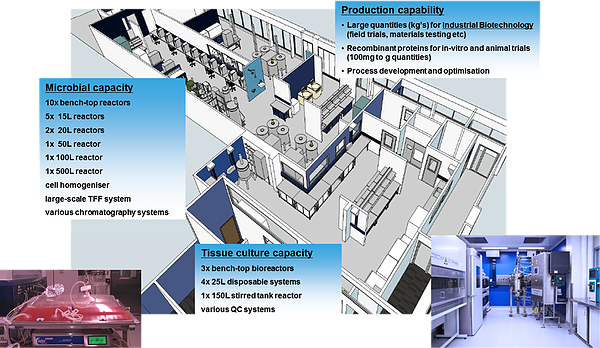 Visiting students to the CSIRO Laboratory will have the opportunity to work with staff with expertise in biomaterial and polymer synthesis, fabrication and analysis; materials modelling; surface modification and analysis; (stem) cell biology; molecular biology; biocompatibility; bioreactors and 3D printing. Dr Keith M McLean FBSE is the Director of Manufacturing in CSIRO; Secretary of the International Union of Societies of Biomaterials Science and Engineering (IUSBSE) and a Professor (Adjunct) at Monash University’s Australian Regenerative Medicine Institute. McLean’s interests include ophthalmic biomaterials, self-assembly materials and the cell-material interface. Dr Helmut Thissen is a Principal Research Scientist and Team Leader in CSIRO’s Biomedical Manufacturing Program. His expertise lies at the Materials-Biology interface and includes polymer chemistry, surface modification and analysis of biomaterials and their interaction with cells. Professor David Haylock is the Research Group Leader, Cell Biology, within the Biomedical Program of the Manufacturing Business Unit at CSIRO and a Professor at Monash University’s Australian Regenerative Medicine Institute. David leads a diverse group of multidisciplinary scientists with skills and expertise in cell and molecular biology, molecular modelling, micro fabrication, chemistry, material science and biomaterials. David’s key expertise is in haemopoetic stem cells. Professor Susie Nilsson is a CSIRO Office of the Chief Executive Science Leader and Professor in Monash University’s Australian Regenerative Medicine Institute. Professor Nilsson has expertise in haemopoetic stem cells and the stem cell niche. Dr Tim Hughes is a Principal Research Scientist and Team Leader in CSIRO’s Biomedical Manufacturing Program. Tim is a synthetic and polymer chemist with interest in biomedical polymers including siloxanes; RAFT polymers; fluoropolymers and polymer 3D printing. He has interest in ophthalmic biomaterials; drug delivery and imaging applications amongst others. Dr Thilak Gunatillake FBSE is a Senior Principal Research Scientist with a track record of delivering technologies to clinical application. CSIRO spin-outs AorTech and PolyNovo Biomaterials are based on polyurethane materials developed and patented by Dr Gunatillake. Professor Justin Cooper-White is a University of Queensland Professor and CSIRO Office of the Chief Executive Science Leader. He has a 50% CSIRO appointment and is a biological engineer. His research group is focused on developing novel solutions for repairing damaged or diseased tissues using regenerative medicine principles and early disease detection using point-of-care devices. The group develops smart surfaces, scaffolds and diagnostic microdevices for a range of regenerative (and personalised) medicine applications. Other staff include: Ms Veronica Glattauer, Dr John Ramshaw FBSE (Honorary Fellow), Dr Jerome Werkmeister FBSE (Honorary Fellow), Dr Peter Cass, Professor Andrew Laslett, Dr Carmel O’Brien and Dr Katherine Locock. The group also includes a number of postdoctoral fellows and students. 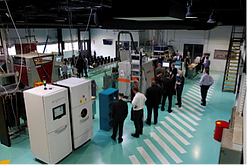 CSIRO has state of the art facilities in polymer synthesis and characterisation including high-throughput facilities; polymer processing and fabrication; surface modification and analysis; cell and molecular biology; animal house; bioprocessing and 3D metal and polymer printing. The Clayton site shares a campus with Monash University and has labs within Monash’s New Horizons and Australian Regenerative Medicine Institute as well as access to the Australian Synchrotron; Melbourne Centre for Nanofabrication and the Monash Biomedical Imaging Facility. Melbourne has been voted the world’s most liveable city for the 6th year in succession and is accessible to major international destinations via its Tullamarine International Airport. Students will work at CSIRO’s Clayton Laboratory in the South East suburbs of Melbourne approximately 22km from the city centre by train and bus. The CSIRO Laboratories are on the campus of Monash University – Australia’s largest university – and accommodation is available locally. CSIRO Manufacturing staff co-supervise, with university partners, approximately 200 post- and undergraduate students from both Australian and international universities including Imperial, Washington, Paris and Chinese Academy of Sciences.